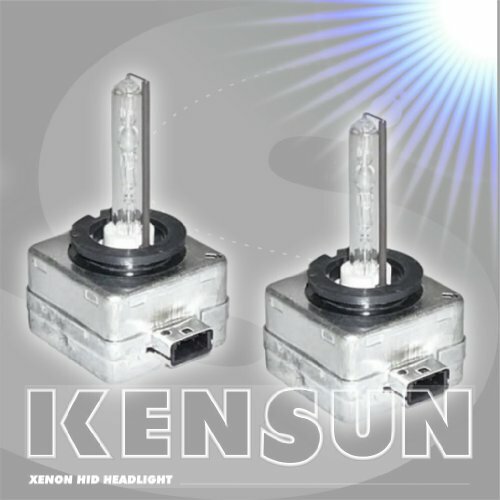 HID lights have a glass chamber of gas, replacing the filament of traditional halogen bulbs. The gas is ignited by a 23,000v charge and stays illuminated by a constant 12v source provided by a ballast which is connected directly to your battery. Remarkably, HID lights are able to provide greater light output with much less power consumption. Studies show that a 35w HID lamp produces 3 times as much light than a 55w halogen bulb. Also, a halogen bulb uses a continuous power draw of 10-15 amps, while the HID system uses 20 amps for ignition, but then drops to a mere 3 amps during operation (i.e. up to 80% less power during use!). In addition, the HID headlamp provides longer service life. With no filament to vibrate and fatigue, under normal conditions HID bulbs last roughly 10 times longer than halogen bulbs.